Although I was fully prepared to run on the treadmill when I set up my gear last night I felt a little differently this morning. The alarm woke me up from a sound sleep and made me question whether a workout or thirty extra minutes of sleep would do me the most good. I would have liked the extra sleep but I knew if I didn't run I'd feel guilty for the rest of the day. Despite its negative connotations, I truly believe that guilt has its good side. 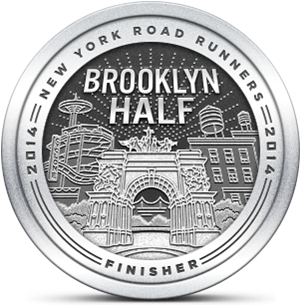 I had a little coffee and got on the machine, resigned to running a couple of miles. As I started my run I compared the pace on the display to the pace on my Garmin that I knew was accurately calibrated. The two readings were closer than I'd expected them to be. 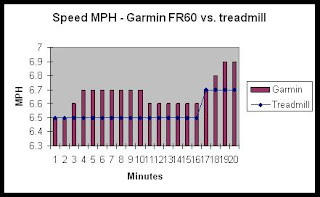 I increased the tread speed and saw that the paces changed in sync with each other but once I got to target speed I found that I could achieve a faster pace on the Garmin, compared to the treadmill's, just by quickening my cadence. 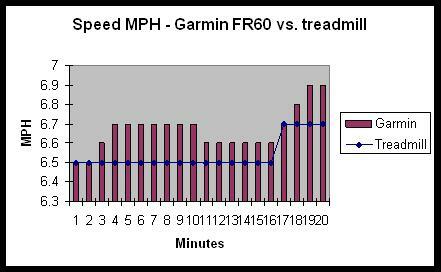 When I resumed my default running rhythm the Garmin's readout resumed duplicating the treadmill's. It was an interesting discovery because now I know I can naturally speed up or slow down a little without needing to mess with the treadmill's controls. That makes a big difference to me because much of my frustration with the treadmill is from the tedium that comes with being forced to maintain a hardwired pace. Although I started off tired I did rebound and got through 2.4 miles at a decent pace. I don't know why I find treadmill running so much harder than road or trail running but I do. Still, I rather it be that way than the other way around. Among other things, running outside gives you good stories. The treadmill, not so much. My biggest issue with the treadmill is that if I stop concentrating on what I'm doing I could trip and get eaten alive by the machine. Even with the safety tether I'm always on guard. Like your friend, I'd rather run outdoors than indoors any day.